Reduced - Exquisite all brick lakefront home with water views from throughout the home. Just a short level walk to the lake and the newer slip covered dock. Located at the end of Wilmac in the cul-de-sac - - privacy and serenity at its best. The owners have meticulously updated and maintained this home. Please see list of all updates in associated documents. There is a court yard as you enter the home from the driveway which provides a great place for statuary or perhaps a water fountain. The custom Plantation Shutters throughout this home allow you to filter the light to your liking. The solid walnut plank floors in the living area and dining room enhance the touches of elegance you will find within this home including crown molding throughout. Off the dining room is a sunroom with three walls of windows which provide great water views. From the sunroom you step out onto the massive deck 16 x 37 with additional wrap arounds on each side. This is the perfect place to enjoy that cup of coffee in the morning, those late afternoon cocktails, barbeques, entertaining, or just enjoying the sunsets and peacefulness of this property. The massive kitchen with additional dining space has numerous upgrades including granite counters, new appliances and cabinets galore. Over the large island are custom adjustable pendant lights which are unique. Off the kitchen is a small room with built in cabinets which is currently being used as an office space. Across from this office is a large laundry room with tons of storage. The oversized double garage allows for storage and workshop. A separate bonus room off the garage offers tons of possibilities - library, media room, studio, rec room, etc. When you enter the home if you go to the left you will find a long hall with 2 nice sized guest bedrooms connected with a Jack-and-Jill bath complete with newer travertine counters. Across the hall is the immense master bedroom with in-suite bath which has new travertine counters. The bedroom has plenty of room for a sitting area. The landscaping of the acre lot is superb. There is a storage shed to store all those lake toys and lawn care items. 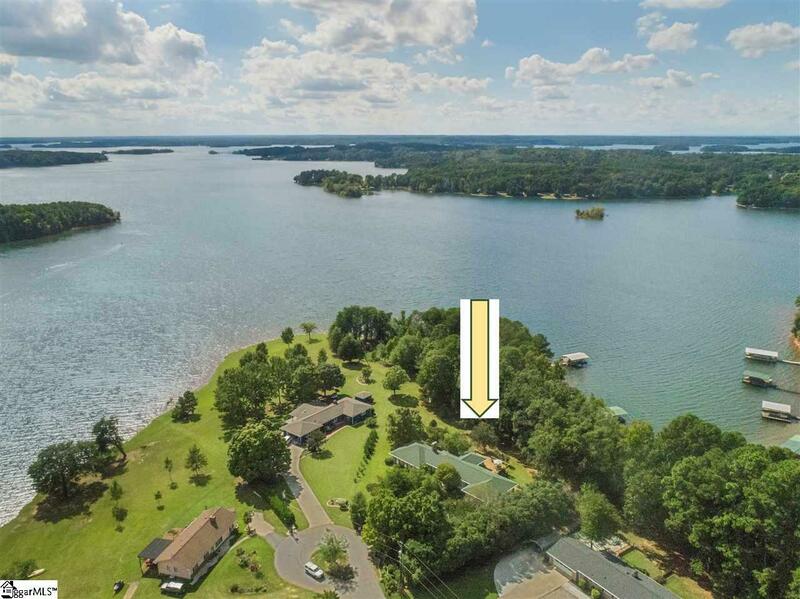 There are few properties like this on the lake expansive water views, fastidiously maintained home, short level walk to the deep water, newer dock and the list goes on and on. You must see this property to appreciate everything it has to offer. Listing provided courtesy of Judith Stevanovich of Buyhartwelllake.Com.